Christy Fletcher, founder of Fletcher & Company, described her approach to creating new revenue streams for her author clients as creating a “noisy, robust launch while listening closely to the audience.” This means paying attention to what platforms they are using, what questions they are asking, and what other media they are consuming. Then, she is better able to amplify the work her authors are already doing and give that audience new material that they will enjoy. Kathy Doyle, VP of Podcasts at Macmillan rigorously researches before committing seriously to a new venture. 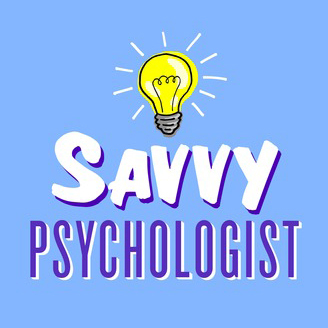 Before she started working with Ellen Hendricksen on what would become The Savvy Psychologist, Doyle and her team had already conducted a study to determine that psychology was of interest to their pre-existing audience. With that audience insight in place, she was able to confidently launch a new project with the assurance that there was an audience waiting for that content. But the research doesn’t stop there. Doyle advised the audience to keep track of podcast appearances or online tutorials in a marketing and publicity calendar so that when publishers see a spike of interest, they can better trace it back to specific timing and strategy and replicate it in future efforts. During the Q&A, audience member Leah Siepel, founder of Leah Siepel Courses asked the panel about scaling intimacy with larger online courses. She told the audience that in her own work building online courses for clients, courses with higher degrees of contact between the educator and the audience led to higher course completion rates. She wanted to know how to build bigger audiences without sacrificing the personal attention that leads to greater end-user satisfaction. The panelists all agreed that this is a challenge when growing audiences, and that successful online courses must be more engaging than a video of someone talking for 30 minutes. Christy Fletcher described how she and Gretchen Rubin tackled this issue for The Happiness Project Experience, an immensely popular year-long course with a waiting list. They created smaller groups of participants within the wider course, using a cohort-based model with monthly modules and live call-ins to help members feel more connected to each other and to Rubin. Moderator Stephanie Bowen suggested filming lessons in front of a live audience to help viewers feel more like a part of an active learning community. Bowes suggested working with a company like Creative Live. Joan O’Neil, Vice President at Skillsoft Books, incorporates visuals to give online courses more of a Ted Talk feel. With options like live call-ins, production companies creating live lessons, and more, it’s possible to create truly dynamic and engaging online courses that resonate with viewers. Kathy Doyle described the changes that are happening in podcast advertising. Currently, most podcasts use live-read ads where hosts read ad copy for a product. This method capitalizes on the intimacy that podcast listeners feel when they hear a host speaking directly into their ears. Ads read by hosts feel like recommendations from a friend. However, as Doyle noted, the process of matching podcasts to products to create natural-sounding ads is both highly manual and highly time-consuming. Plus, podcast listeners are quick to recognize when an ad doesn’t sound natural or doesn’t fit with the host’s brand. Podcasts are beginning to go the way of digital advertising more broadly, which is to say programmatic. Increasingly, brands will be able to buy podcast audiences rather than listeners to a specific show. Programmatic advertising is show-agnostic, meaning that it will be able to, for example, target young urban parents who are likely to purchase a meal kit subscription rather than all listeners of The Racist Sandwich. With any effort to build in new revenue streams or platforms for authors, the key is to listen to what their audience wants and to provide an engaging and authentic experience. Women’s Media Group, founded in 1973, is a New York-based nonprofit association of women who have achieved prominence in many fields of media. Their 250-plus members, drawn from book, magazine, and newspaper publishing; film, television, online and other digital media, meet, collaborate, inform and support one another as well as mentor young women interested in publishing careers. They seek to advance the position of all women through the power of communication and media. Find out about their upcoming events here. Julie Yip Williams, author of The Unwinding of the Miracle, knew she would never see whether readers liked her book. The Unwinding of the Miracle shares Yip Williams’s experiences and thoughts as she approached her death from colon cancer. Through the book she wonders about what the lives of her husband and daughters will look like, and finds the miraculous in the most universal human experience — death. Published posthumously on Feb. 5 by Random House, The Unwinding of the Miracle is a New York Times bestseller. The team at Random House helped raise the memoir’s profile through a unique audio strategy. Beyond typical plans to advertise on podcasts, they decided to take it a step further for the release of The Unwinding of the Miracle. In collaboration with Pineapple Street Media, Random House created a 4-episode companion podcast, Julie: The Unwinding of the Miracle. The podcast featured audio interviews with Yip Williams as well as audio from some of the last visits her family had with her before her death. Listeners could hear Yip Williams talking about how she decorated her bedroom so that she’d have somewhere beautiful to die and making plans to haunt her family members. In the final episode, the surviving family members and friends talk about the ways that they feel Yip Williams’s presence after her death. As of February 27, 2 weeks after the final episode was released, the podcast ranks number 51 for all Health podcasts on iTunes, with over 600 reviews and an average of 4.5 stars. The podcast was featured on Call Yr Girlfriend through a sponsorship from Pineapple Street Media and on All Things Considered. Investing in a collaboration with expert podcasters resulted in a well-paced and compelling narrative with high production values. Pineapple Street Media is a well-established podcasting company. They produce, among other shows, Still Processing from the New York Times and were behind the chart-topping Missing Richard Simmons. Julie: The Unwinding of the Miracle’s producer Eleanor Kagan comes from a well-established audio background, having worked previously for both NPR and Buzzfeed. We chatted with Leigh Marchant, Director of Marketing & Business Development at Random House about Julie: The Unwinding of the Miracle and their companion audio strategy. How did you decide to create a podcast for The Unwinding of the Miracle? Our Random House Editor-in-Chief, Andy Ward, and I had been talking about doing a podcast with our mutual contact, Max Linsky, from Pineapple Street Media. As all great projects start, we pitched him a few ideas over lunch and decided that Julie’s story would make for an incredibly compelling podcast. We thought having Julie’s story told in both book form and via podcast would be a really interesting project—that instead of being restricted by only telling this story in one format, we could have them complement and inform each other. What kinds of audiences were you hoping to access with the podcast? We think that podcast listeners are readers, and readers are podcast listeners. We have seen some consumer insights reports that show media affinities for some of our authors and titles, and podcasts are definitely included in there. Of course, certain podcasts appear more frequently in our data than others but we do think there is listener/reader overlap. So we were hoping to draw attention to the book through the podcast audience – and vice versa. The two projects – the podcast and the book – are meant to be complementary. In other words, if you read the book, you will want to hear more from Julie and her family and friends through the podcast. And if you listen to the podcast, you’ll want more in the book. Both the podcast and the reading experience deliver in such a strong way. The content of the two projects is actually different but together provides an incredible understanding of what Julie and those who are terminally ill are grappling with. Both the podcast and the reading experience deliver in such a strong way. The content of the two projects is actually different but together provides an incredible understanding of what Julie and those who are terminally ill are grappling with. How is that audience different from — or the same as — the audience you were connecting with through other parts of the campaign? We are always looking to reach readers through our campaigns and one of the ways we do that is actually via podcast advertising! So creating the podcast was a great way to reach some of our target audience. We were hoping to reach readers of books like When Breath Becomes Air, The Middle Place and The Bright Hour. Also we targeted readers of medical memoirs, followers of Julie’s blog, as well as parents. But of course the goal for any book is to reach the right readers and we knew that if we could capture an expanded audience via the podcast, they would likely be interested in the book as well. How did you balance creating a rich and emotionally resonant podcast with leaving enough unanswered for the listener so that they would want to read the memoir? That was a main concern at the start of the project. We didn’t want to cannibalize either project so we were careful to keep the content different enough, yet complementary. In the podcast, you hear from Julie’s family and friends. The book is just Julie’s words and thoughts. The two forms work so well together though. Each project is so powerful, so moving, so compelling. But together they offer such a complete portrait of Julie’s incredible life and, later, her battle with cancer. How does companion audio fit into your strategies for other titles? We are always looking for new ways to reach readers – on whatever platform they are consuming content. Podcasts are a great way to do that and we will continue to explore opportunities in that space – when it makes sense. We have a number of other podcasts through our corporate group coming. But we’re also exploring other multi-media platforms, as well. We also just launched an Alexa Skill called Good Vibes. Our goal is to connect readers (and listeners) to great books via the platforms where they are already consuming content. Be sure to subscribe to NetGalley Insights for more strategies from successful marketing campaigns, audio coverage, and more! Podcasts are an important part of the cultural criticism and influencer ecosystem for books, and beyond. And because audio is such an intimate medium, with hosts speaking directly into the ears of their audience, podcasts develop particularly dedicated fan bases and engaged communities. In Ask a Podcaster, we hear directly from different book-related podcast hosts to help you learn more about their community, what they are interested in featuring on their podcasts, and how they find their next book picks. Books & Boba is a book club and podcast dedicated to spotlighting books written by authors of Asian descent. Every month, hosts Marvin Yueh and Reera Yoo pick a book by an Asian or Asian American author to read and discuss on the podcast. In addition to book discussions, they also interview authors and cover publishing news, including book deals and new releases. What should book publishers know about your audience? Marvin: They are a diverse group of readers, and not necessarily all Asian-American. 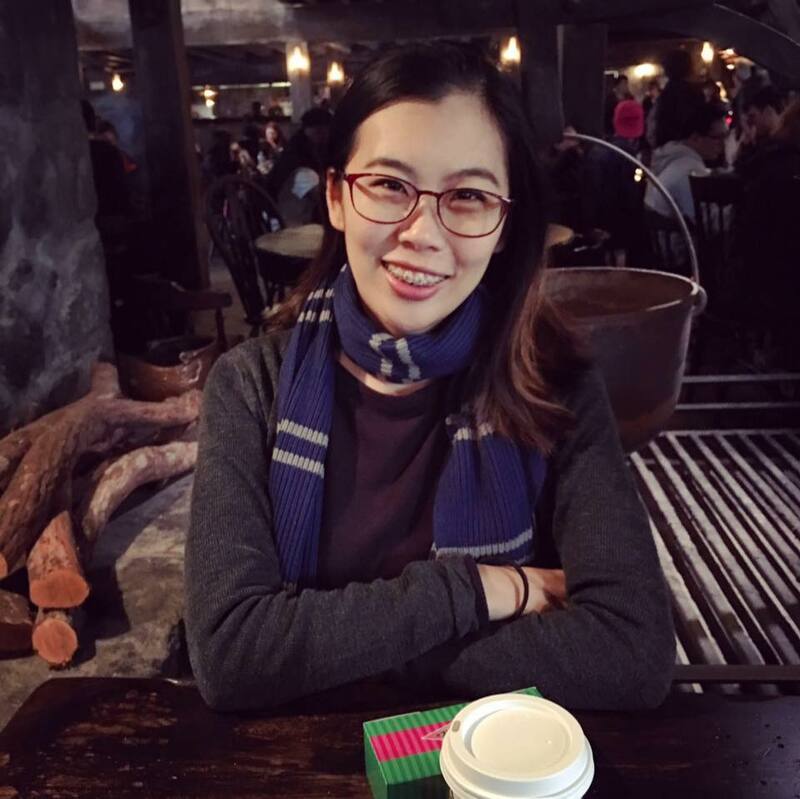 Our listeners range from Asians from across the diaspora (including the UK, Oceana, and expats) and non-Asian readers who are interested in different perspectives in the books they read. Those that follow us are generally interested in our focus on Asian authors, representation in media, and own-voices narratives. How do you pick books and authors to feature on your podcast? Reera: We have a Goodreads list of books that our audience recommend us. We try our best to alternate genres and feature different representatives of the Asian diaspora experience. Marvin: We make it pretty clear in our podcast opening that we focus on books written by Asian and Asian diaspora writers. We have been more flexible in terms of the genres we cover and have read both fiction and non-fiction novels, and everything from contemporary thrillers to regent-era historical fantasy. What do you love best about your audience? Reera: I love their passion and enthusiasm for Asian and Asian American literature. Many of our listeners are avid readers who have felt frustrated by the lack of diverse representation in publishing. Some are from countries where it is particularly difficult to find books by authors of color. So, it’s always wonderful to see their excitement in learning about upcoming and undiscovered books by Asian and Asian American authors. Marvin: It’s always great to see new listeners who discover new books through our podcast, but I’m especially excited when our members engage with us on our Goodreads forums. Part of what we want to build at Books & Boba is a community of readers who are excited about the breadth of narratives coming from Asian authors. What do you think is unique about podcasting as a medium for book lovers and for cultural commentary? Reera: Reading is often a solitary activity. When you finish a book and feel your outlook on the world shift, it can be disappointing when you don’t have anyone to share your experience with. I think literature podcasts make the reading experience more intimate and less lonely. It’s like being in a book club with your friends, only you don’t have to go through the hassle of scheduling. Marvin: I think podcasts in general are a great medium because listening can be a passive activity, so our listeners can listen to us discuss books while driving or working on something else, so you can be productive and learn stuff. Podcasts maximize efficiency! If you use NetGalley, what strategies do you use to find books to request? Reera: We often look through our list of forthcoming books by authors of Asian descent and search on NetGalley if they are available. We also consult [NetGalley newsletters] to see if there are any new books we might be interested in reading for our book club. What trends in the book industry are you most excited by? Reera: We’re very excited by the surge of sci-fi and fantasy novels by marginalized authors. It’s fascinating to see how these authors are injecting their heritage and changing how we see race, gender, and sexuality in sci-fi and fantasy. Marvin: Like Reera, I’m excited in the emergence of speculative fiction from Asian and other authors from traditionally marginalized communities. Don’t get me wrong, I still enjoy the classics and family dramas about intergenerational issues and immigrant struggles, but seeing fantasy inspired by the Three Kingdoms era and science fiction that uses Eastern concepts as more than just window dressing will always bring a tear to my eye. Reera: Since we are a part of the Potuck Podcast Collective, we listen to a lot of our fellow members’ podcasts, which include Good Muslims, Bad Muslims, They Call Us Bruce, Korean Drama Podcast, and KollabCast. Some book-related podcasts we like to listen to are First Draft, Book Riot, Minorities in Publishing, and 88 Cups of Tea. 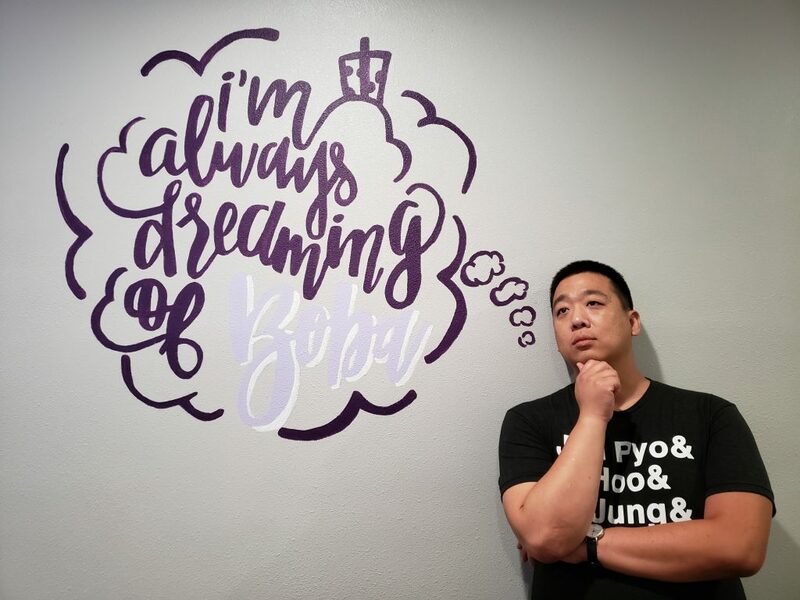 Marvin: In addition to producing several podcasts (including Books & Boba), I also listen to a lot of (too many really) podcasts! Speaking of book clubs, I follow the granddaddy of book club podcasts Sword & Laser, I also listen to pop culture discussion podcasts like Pop Rocket and Pop Culture Happy Hour, comedy podcasts like Hello from the Magic Tavern, and anything from the McElroy family, and of course our fellow podcasts from the Potluck Podcast Collective! Follow Books & Boba on their website, Twitter, Instagram, Facebook, and Goodreads. And be sure to check out our whole Ask a Podcaster series! For Candlewick Press’s 25th anniversary, they decided to make a podcast that gave listeners a peek behind the curtain of the house that gave them Judy Moody, Because of Winn-Dixie, Where’s Waldo? and more. Candlewick Press Presents gained thousands of listeners during its limited run in 2017, and it’s still getting plays from industry hopefuls as well as book lovers. In this guest post, Ally Russell from Candlewick Press describes how a traditional publisher got into the podcasting game and how it benefited from connecting with its audience in a new way. Publishing is a fairly small and exclusive community, and many people want to know how others broke into the industry. Some readers just want an answer to a simpler but equally complicated question: How are books made? Giving people insight into the journeys of successful book creators and providing them with details on the publication of particular books gives them tools to use on their own publishing paths and a deeper appreciation of what goes on behind the scenes. One of the most exciting pieces of information we’ve come across since the release of Candlewick Press Presents is that our podcast has been used in college classrooms as a teaching tool. At least two college instructors have required their students to listen to episodes of the show to gain a better understanding of the book publication process. We’ve always aimed to help educators use our books in the classroom, so having the podcast used as a supplementary teaching material was a huge measure of success for Candlewick. We use the Candlewick podcast to give our readers insight and entertainment. We tell new stories — stories that wouldn’t work in a traditional book format. It’s true that the Internet has forced publishers to adapt and find new ways of putting books into the hands of readers, but it has also allowed us to broadcast stories into the heads and hearts of millions of listeners. We’re still book people, but now we’re also in the business of oral storytelling. Initially, we weren’t sure if our readers would be receptive to a different kind of storytelling from Candlewick Press. However, the publishing industry has had to adapt to the digital age, and reaching readers beyond bookstores is something that we feel passionately about. So we dipped our metaphorical toes into the world of podcasting. We could only hope that our listeners would enjoy the stories from behind the scenes as much as they enjoy reading the stories printed on the pages. We’re book people. We spend our days looking closely at text and illustrations, but we had to learn to listen closely to audio recordings to eliminate extraneous noises (which were almost always children from the daycare next door pattering their tiny hands on our windows during their afternoon walks). We know how to produce and market beautiful books, but we had to learn how to present and promote the creators of those books. We know how to tell stories on paper, but we had to figure out how to tell them in a podcast. We spent months completing logistical work: Choosing a podcast name, purchasing a domain name, designing a logo, and testing recording equipment in our “studio” (which is really just a small conference room named after one of our most beloved book characters, Maisy). For the launch of the podcast, we had to curate a list of locals from our roster of brilliant talent who would be willing to help us on our journey into the world of nonfiction audio storytelling. The task was particularly difficult because we wanted to choose authors and illustrators who represent the broad spectrum of books we publish. We brought in picture book illustrators Ekua Holmes and Scott Magoon and wordless picture book storytellers Aaron Becker and Ethan and Vita Murrow. We included board book and interactive activity book creator Jannie Ho and middle-grade fiction author Teresa Flavin. We also invited nonfiction storyteller Martin W. Sandler as well as two creators who are skilled at spinning tales of both fiction and nonfiction for various ages, author/illustrator Annette LeBlanc Cate and author/poet Lesléa Newman. Annie Cardi and anthology editors Kelly Link and Gavin J. Grant covered YA books. Finally, we rounded out the list with picture book creator Matt Tavares and YA author M. T. Anderson, who have been publishing with Candlewick Press for almost as long as our doors have been open. In May 2017, after months of research, interviewing, and editing, Candlewick Press Presents launched! The podcast aired weekly between June 8 and August 31. The show was available on iTunes, Stitcher, and Google Play. During its first week, the podcast picked up almost 500 downloads. Within its first month, almost 2,000 downloads. As the weeks went on and with each new episode, the program gained steam. Within six months of airing, our podcast was picked up by Spotify. At the time, Spotify was relatively selective about their podcast content, so it was an honor to be included in their offering of shows. Red Tricycle’s website — which has 1 million unique visitors per month — named Candlewick Press Presents one of 5 Cool Podcasts to Try on Your Next Road Trip. In addition to other media outlets taking notice of our show, we learned that our podcast was being listened to all over the world, including in Australia, Canada, the U.K., Singapore, Japan, and Argentina. The biggest hurdle for any podcast is acquiring ratings and reviews, and we haven’t been able to gauge the success of the show based on those. However, we know it has been a success because we’ve managed to hit 10k downloads in just over one year, even with an irregular, somewhat unpredictable schedule in 2018. Isn’t it every reader’s dream to see where and how their favorite books were created? We’ve had local readers stop by our office and ask for a tour. There’s a reason that some of our most popular social media posts are photos that feature our office and staff: readers want to know! Candlewick Press Presents throws back the curtain and gives readers a glimpse into the world of publishing. The show is recorded right in our office in Somerville, MA, and it invites readers to join the experience that Candlewick employees and book creators are part of every day. Many of the guests on Candlewick Press Presents have been interviewed by other media outlets, but what makes the Candlewick podcast so engaging is the wealth of background information that we’re able to collect about our authors and illustrators and the publishing process of each book. We thread each discussion with funny anecdotes about the guests and interesting facts about the publication of certain books — information that only our staff could provide. Without background information from editors, book designers, and publicists, our listeners wouldn’t know about Scott Magoon’s impeccable singing voice or the story behind M. T. Anderson’s first manuscript. 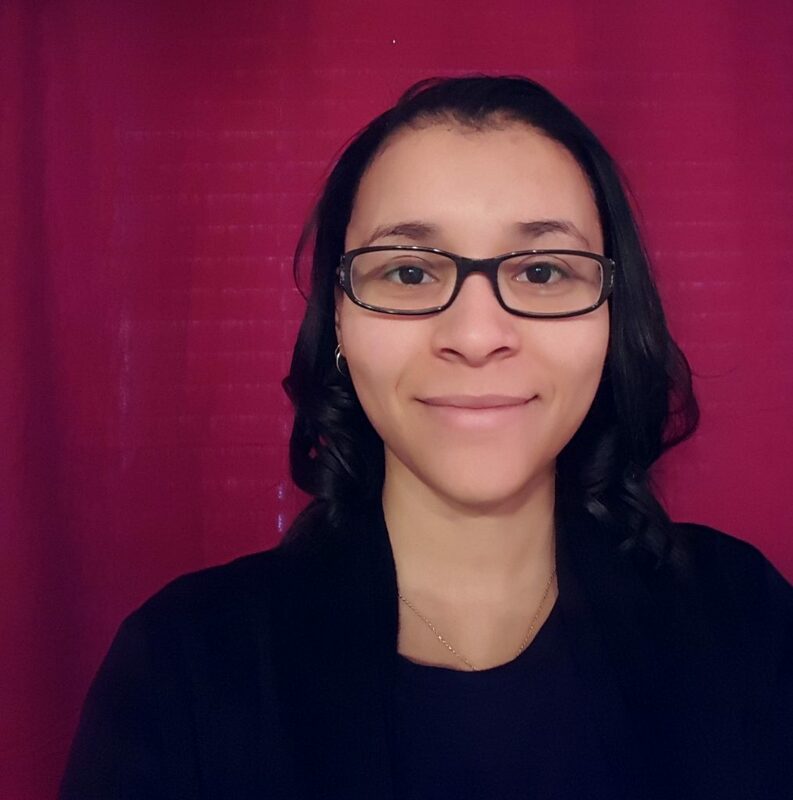 Ally Russell is the consumer outreach specialist at Candlewick Press. 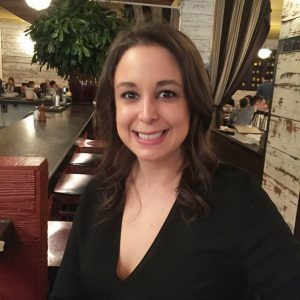 She works to develop long-lasting, impactful relationships with organizations, and connect with consumers. She is the host of Candlewick Press Presents. Podcasts are an important part of the cultural criticism and influencer ecosystem for books, and beyond. And because audio is such an intimate medium, with hosts speaking directly into the ears of their audience, podcasts develop particularly dedicated fanbases and engaged communities. In Ask a Podcaster, we hear directly from different book-related podcast hosts to help you learn more about their community, what they are interested in featuring on their podcasts, and how they find their next book picks. 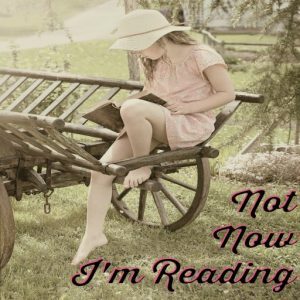 Now Now, I’m Reading is a bi-weekly podcast where hosts Chelsea & Kay discuss what they’re reading and loving. Their guiding principle is that they want to read things that make them happy. From comics to romance, through science-fiction, young adult, crime, or fantasy. If it can be classed as genre fiction, it’s something they’ll gush about. Chelsea & Kay aim to be critical media consumers, but strive to make Not Now, I’m Reading a space for positivity and celebration of media that gets it right. 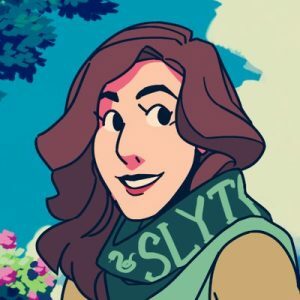 Kay: Personally, I love how excited they are to hear about what we’re reading and that they’re just as happy to share their current media favorites with us. Our listeners tend to be heavy social media users and we interact with quite a few of them through Twitter and our Patreon. Chelsea: Similar to Kay, I love the fact that our audience feels so much like family. Whenever they reach out over Twitter to discuss an episode, give their feelings about a rec we gave, or to recommend us something in return, it feels like such an equal exchange for love for a thing! Kay: Our listeners skew heavily female, which makes sense given how much airtime we devote to romance and fanfiction. Our listeners are also more likely to pick up ebooks and audiobooks, at least the ones who’ve reached out to us. Accessibility is important, for us and for them. We provide full transcripts for every episode of our podcast, so we actually have a fair number of ‘listeners’ who read instead of listen as their primary means of consuming Not Now, I’m Reading. We embed links in the podcast transcript and show notes, too, which makes it very easy for our listeners to click on whatever we’re talking about and snag a copy while they’re still listening to the episode! Chelsea: Our audience is always on the look for titles that are diverse, current, challenging takes on tropes or themes they love. We are proud of the fact, and our readers respond well to the knowledge that, in the history of our podcast, we haven’t had a book by a cis straight white man as our main focus. Our selections tend to skew heavily towards newer releases, with the exception of YA and middle grade titles, for which we tend to look more towards the backlist. What do you think is unique about podcasting as a medium for book lovers/cultural commentary? Kay: There’s something incredibly personal about book podcasts, and not just because there’s something personal about the human voice. Is that a creepy way of putting that? I’ve always felt a sense of intimacy with radio and podcasting. Especially when you have a very informal chatty format like ours, it’s really like you’re sitting down with a couple of your friends to talk about the things you’re enjoying. And while reading is most often a solitary pursuit, I think many book people love discussing what we’re reading and what we’re thinking of reading and how all of those things compare to things we’ve read. Sometimes you don’t have people in your daily life who are big readers, and that’s okay! But it’s nice to listen to other bookish people and media geeks enthusiastically discussing stuff they love. I mean, we love it so much we record ourselves doing it and then send it out into the world for other people to listen to! Chelsea: Perhaps this feels a bit dramatic, but in a time when it feels like the educational fabric of our country is unraveling bit by bit, we love that we are able to provide a fun, welcoming, open discussion of books and reading in a way that addresses books as they interact with so many other aspects of our lives. Like Kay said, reading can be such a solitary activity, it can feel so good to feel a connection to other people who are reading, and to the world at large through the written word. We try our hardest to be open about our mental states and lives as they relate to the books and media we’re consuming, and that honesty and the personal and cultural overlap is what I’ve always loved most about book podcasts, especially more casual ones like ours. Kay: We exclusively feature genre fiction on the podcast, and mostly tend towards romance and SFF. We feature YA, mystery, women’s fiction, and other genres, as well, but romance and SFF are our big two. We also don’t feature any books by cishet white men. There are plenty of places their work is being featured, they don’t need our airtime, too. We also try to have the books and authors featured reflective of our person reading. Both of us set pretty high goals on the numbers of women/POC/LGBTQIA+ authors and characters we want to see in the books we’re reading. We also aim to talk about new releases within a month of launch date, but we pre-record episodes because of scheduling constraints, so it’s not always guaranteed. As far as authors we interview? At this point they’ve all reached out to us first, but we have a bit of a dream list of people we’d love to have on to talk with us. Chelsea: Kay pretty much summarized it nicely, but I will also add that we run polls as part of our Patreon, which is where we try and feature more backlist titles and books that revolve around central themes or tropes, which our patrons can then vote on. We choose these titles by the same guiding principles Kay laid out, but this avenue also allows us to interact with our audience in a more engaged way! Kay: Is it awful to say I don’t really have a strategy? It’s not very Slytherin of me, surely. I’m usually already coming to the site with abbook or an author or very rarely a rough target release date in mind, on the off-chance we have an unexpected schedule gap for a specific air date. I do less browsing and more targeted searching. Chelsea: Whereas, being the Hufflepuff in this scenario, I go entirely by window-shopping feel! 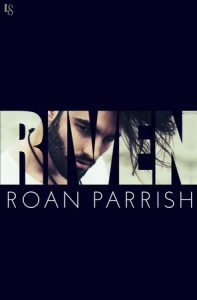 I have most of the major publishers for our two biggest genres (SFF and romance) bookmarked and once every few weeks I’ll go and just browse by cover art, author familiarity, or just things that catch my wandering eye. In and of itself it’s not really much of a strategy, but the more browsing I do the better my gut intuition becomes. Kay: I’m terrible about keeping track of trends! I tend to find new authors and subsequently binge their backlist titles, so I’m not always great at staying on top of new releases. I hope it’s not a trend (since that implies it’ll end relatively quickly), but I do love that even self-pubbed and small press books are starting to be more readily available on audio. At least 50% of the novels I read consumed in audiobook format. I’m also a big fan of how many ‘spinoff’ series are being picked up by mainstream publishers. For instance, Alisha Rai recently sold a spinoff series of her Forbidden Hearts books, which Chelsea and I adore. The first book in the new series will focus on the sister of a heroine from the previous series. Chelsea: Like Kay mentioned, I am thrilled by the rise in audio consumption and availability. We consume so much of our own media in an audio format, and we know a great number of our listeners do as well, that it’s really exciting to see smaller presses get that audio treatment. On a smaller scale, I’m really excited in what seem to be trends towards musicians in romance and WAY less grimdark in SFF. I’m all about both of those things, very very much so! Kay: Chelsea is much better at keeping up with podcasts than I am. I do so much audiobook reading, I’m usually racing a library-induced deadline to finish books before they’re due. I’m a longtime listener of Reading the End. We’re friends with Jenny and Jenny, the co-hosts, and I’ve done a guest appearance with them chatting about fanfiction. I also regularly listen to Overinvested, Smart Podcast Trashy Books, Ride or Die, Fangirl Happy Hour, Radio Free Fandom, and When In Romance. There are so many great ones out there that it’s tough to keep up! 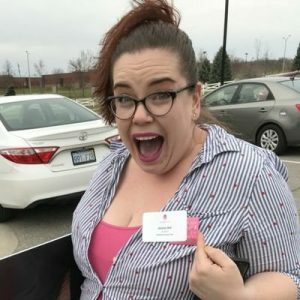 Chelsea: Oh, buckle in friends! At last count, I had well over 60+ podcasts in my reader feed, and at least half of those are book are book industry-related. For general news, it’s hard to beat Book Riot as the standard. I will listen to the Jennys at Reading the End the minute their podcast comes to air, and the same goes for all of the podcasts that Kay mentioned! I also love several other genre related podcasts, including SFF Yeah!, The Wicked Wallflowers Club, Whoa!Mance, and Heaving Bosoms! I also listen to a ton of general pop-culture or, like, book-adjacent podcasts, especially: Food 4 Thot, My Brother, My Brother, and Me, Be the Serpent, Desi Geek Girls, Get Booked, The Popcast, Adventure Zone, Critical Role, Thirst Aid Kit, and Who Weekly. And while these are probably only of use to those who find themselves on the democratically liberal end of the spectrum, I would be remiss not to mention the fair amount of current event and political podcasts I listen to (like, four times as many as this time two years ago, go figure): Hellbent, Hysteria, Why is this Happening, Trends Like These, The Wilderness, Keep It, Lovett Or Leave It, and Queery. I told y’all, I have a bit of a podcast problem! Follow Not Now, I’m Reading on Twitter or on their website. 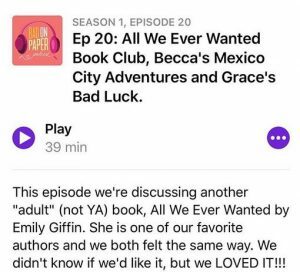 Bad on Paper is a weekly podcast hosted by 30-something YA enthusiasts Grace Atwood, also known for her popular lifestyle blog The Stripe, and Becca Freeman. Every other week, Grace & Becca host a book club with a new book they promise you won’t be able to put down. In between, they share their best tips for “adulting;” helping you do everything from finding the right career to the perfect face serum. What do you love best about your audience? The best part about our audience is how interactive they are with both us and other listeners. On weeks we don’t talk about books, each episode is centered around a topic and listeners write in specific questions to be answered. We love how our listeners actually shape the content of our episodes to make sure the topic matter is relevant to them. In addition, we have an amazing Facebook community where our readers can share reactions to our book club picks, ask questions, and give and receive book recs. It really feels like we’ve built something that is a two-way dialog and not just a one-way conversation where we talk at our audience. What should book publishers know about your audience? Our audience is made up of incredibly voracious readers. While our podcast started covering just YA books, we’ve recently expanded to include adult fiction titles, too, based on demand from our audience. We’ve also been really flattered by how many 20- or 30-something YA readers who have come to us saying that they were previously embarrassed by reading YA, but are excited to have found a like-minded community to discuss with. What do you think is unique about podcasting as a medium for book lovers/cultural commentary? I think what’s really interesting is that we’re able to take the book club model and bring it to a much larger audience. Personally, I’ve been a member of many book clubs but oftentimes they’ve fizzled out because of hectic schedules. We’re a book club that you can dip in and out of or consume based on your schedule. It’s convenient to have your book club on your phone to partake in when it makes sense for you. How do you pick books and authors to feature on your podcast? Grace and I are both very avid readers, so we’re constantly reading and flagging books that could make good podcast picks as we go. In addition, as our audience has started to understand our reading tastes, they’re often giving us recommendations of books we’d love or they think should be on the podcast. Recently, we crowdsourced our first listener-pick book on Instagram via an Instagram story poll. Our audience picked To All The Boys I’ve Loved Before by Jenny Han. We thought it was fun to turn the picking power over to our listeners and talk about a book they were already passionate about! Lastly, I’m a huge user of Goodreads, and am always cruising the New Releases and Most Read sections for inspiration and to keep of the pulse on what’s new and popular. If you use NetGalley, what strategies do you use to find books to request? Oftentimes, I’ll search for books I hear about on Instagram, from bloggers, or find on Goodreads. Of course, sometimes the odd cover art will attract me, and I’ll request that too! What trends in the book industry are you most excited by? I’m really excited that we’re starting to see more smart female protagonists in YA. A lot of books center around a girl who doesn’t know she’s smart or pretty or has any worth until a boy tells her. It’s really exciting to see more YA titles with more feminist-friendly heroines. What podcasts are you listening to? I’m obsessed with Who? Weekly for my weekly celebrity gossip fix, Forever35 for self care talk and a surprising amount of author interviews, and Second Life for interviews with amazingly accomplished women about their career trajectories. I also check in with Call Your Girlfriend, That’s So Retrograde, and Fat Mascara when an episode topic intrigues me! You can follow Bad on Paper on Facebook, Instagram, or on their website. You can subscribe to their podcast on iTunes or contact them via email at badonpaperpodcast@gmail.com. For more information on finding podcasters to pitch, check out this recent article. We are now several years into the podcasting boom. Podcasts like Serial and S-Town have gone viral and every major news outlet has gotten in on the game, from The Daily at the New York Times to Thirst Aid Kit from Buzzfeed. And there are countless smaller, indie podcasts about everything from true crime to comics to wellness. Naturally, there are plenty of podcasts that cover books and the book industry. Some of these podcasts, like Book Riot’s Hey YA, are only focused on a specific market in the book industry while others, like Call Your Girlfriend, are broadly about culture and media, and often feature books as well. Podcasts are an important part of our cultural landscape, and therefore should be an important part of authors’ and publishers’ publicity plans. Podcasting is an intimate medium, which is its strength. At their best, podcasts feel like being let in on conversations between friends. Listeners develop personal attachments to podcast hosts. It’s one of the reasons why sponsors and advertisers prefer live reads for their ads. Featuring a book or an author on a podcast functions like a word-of-mouth recommendation because of the intimate relationship that listeners have to podcast hosts. If a book is vetted by a cultural critic who feels like a friend, a listener is more likely to pick up the book or research it further. If you have never included podcasters in your publicity strategies, now is the time to start! When building a roster of podcasts to pitch, start by searching podcast recommendations for listeners. There are plenty of lists of podcasts of all types, from Bookish podcast recommendations to romance podcasts to podcasts hosted by women of color. Expand your horizons beyond exclusively literary or book-focused podcasts. If you write sports romances, look into sports podcasts. If you are publicizing a non-fiction title about time management, explore podcasts about wellness, creativity, and career advice. Podcasts give you an opportunity to reach unexpected new audiences. Just like other media, it can be difficult to find just the right podcast to suit your book, and to help your book stand out. The most popular podcasts are also going to be the toughest to have your book chosen for a feature, while smaller podcasts might have too tiny an audience to be an effective part of your marketing strategy. This is why it is important to be creative with the types of podcasters you’re pitching, ones who reach niche communities relevant to your book. Trickier still, there’s no standard way to tell how many people a given podcast reaches. Hosting platforms like iTunes generally don’t show the number of subscribers for a podcast, making it hard to tell how big a specific audience is. To get a sense of a podcast’s audience, take a look at the podcast’s social media presence. Does it have a good number of followers? Do those followers engage with the podcast through comments, likes, and re-tweets? Has the podcast been written up in any other sources (i.e. on lists of recommended podcasts for its particular niche)? Use these guidelines to find a list of appropriate podcasts to pitch. When you are pitching, make it personal. As with all other kinds of pitching, targeted and personalized requests tend to be better received than anonymous, formulaic ones. Demonstrate to podcast hosts that you are familiar with their work. Take advantage of the form. Think about what opportunities audio offers your titles. A short teaser of an audiobook? A chance to highlight an author’s witty banter to build personal interest? Audio podcasting is a unique medium. Be creative with how you might use it in your publicity strategy. Podcasting is an exciting and emerging part of the media landscape. Tell us about how you use podcasts as part of your publicity strategy in the comments or by emailing insights@netgalley.com. We hope to share success stories in future articles!